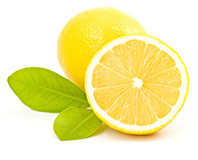 The lemon (Citrus × limon) is a small evergreen tree. Its ellipsoidal yellow fruit is used primarily for its juice. The juice of the lemon is about 5% to 6% citric acid, which gives lemons a sour taste. The distinctive sour taste of lemon juice makes it a key ingredient in drinks and foods such as lemonade. The variety “Eureka” is grown in the valley of Nkwaleni Processors. * Special products are available on request.